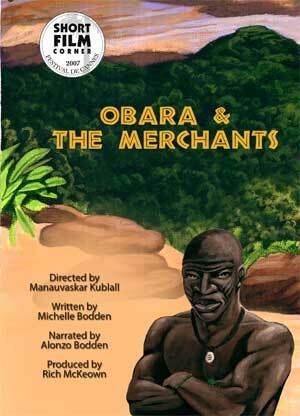 Obara and the Merchants tells the story of a powerful hunter named Obara who lives in a town experiencing a famine. When he is finally able to eat, a group of hungry merchants appears! Obara has to decide whether to share, or keep his food to himself. Would you make Obara’s choice? 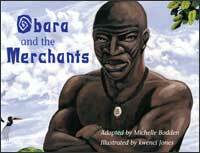 This book is based on a traditional religious story from the Yoruba people of Nigeria. It is one of a set of stories told to help people develop their iwa, or character, and to give guidance in times of uncertainty. Obara and the Merchants serves both purposes wonderfully, giving today’s generation a reminder from yesterday of the enduring qualities that matter. This beautiful book comes to life in the brand new DVD version. The rich baritone voice of actor/comedian Alonzo Bodden narrates the story. As a bonus, the DVD includes two versions of the story, with and without subtitles. This is so important for children learning to read - they can follow the words right on the screen. If you already own the book (and even if you don't! ), you'll LOVE the DVD! Order your copy today!